During the holiday season, it’s tough to get people into your gym! Between Thanksgiving, Christmas, and New Year’s, there’s plenty of traveling for people and the temptation of holiday foods. Are you looking for a few ways to get members in your gym through the hectic time? We came up with a short list for you. People are always intrigued by challenges. Adding in unique challenges for your members is one way to increase activity through this busy time of year for them. Some gyms utilize points systems for attending classes, special deals, or other kinds of incentives. The easiest way to get more people into your gym is to offer guest privileges! Once the holidays are over plenty of people set New Year’s Resolutions to get into the gym! By offering guest privileges to members, they can work out with their peers and will likely end up convincing their friends to join by the end of the holidays! Might as well add more members before the new year, right? One great idea is to host a giveaway for your members! This is a great way to not only get them involved but to also show them you care since the holidays are the season of giving. Different ideas are to hold a random drawing for your members and to give away things such as a year of free membership, a Fitbit, etc. You could also make it incentive-based and award the member who attends the most classes, brings the most guests into the gym, etc. Anyway that will get your members involved with your gym will be a big hit! During the holiday season, why not change up your classes? You could add in extra HIIT(high intensity interval training) workouts for shorter durations since people are extra busy. You can also attract people by having themed workouts based around Thanksgiving, Christmas, or even New Year’s! Popular workout names, for example, could be “Turkey Burn”, “Holiday Hustle”, and “New Year’s Resolution Workout”. 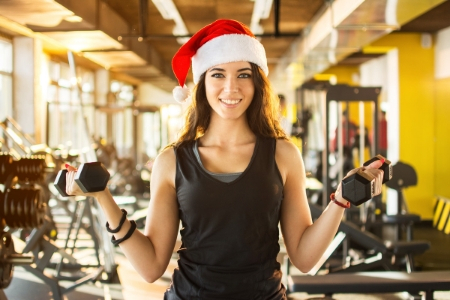 These are great ways to make the holiday’s a benefit for your gym while helping members stay fit during this busy time when it’s tough to get a workout in.